Collard greens are the new black you guys, or at least over here on The Defined Dish it is! haha. 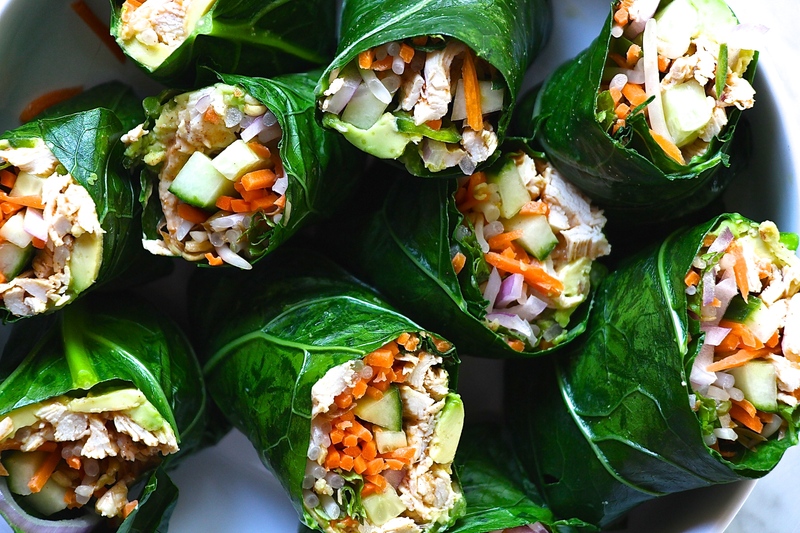 Recently, I posted How to Make Perfect Collard Wraps and you all loved it! I totally enjoyed watching you all make your own creations in your kitchens (thanks for sharing with me) and I had to up my game a bit and let me tell you folks.. this recipe is SO fun and so good! 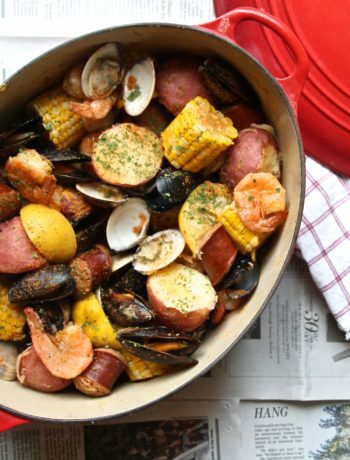 And really, could it be any better for summertime? Next time you are heading to or hosting a pool party, make these in advance and watch everyone ooh and ahh over how fun and delicious they taste. Plus, the peanut sauce alone is a show stopper! 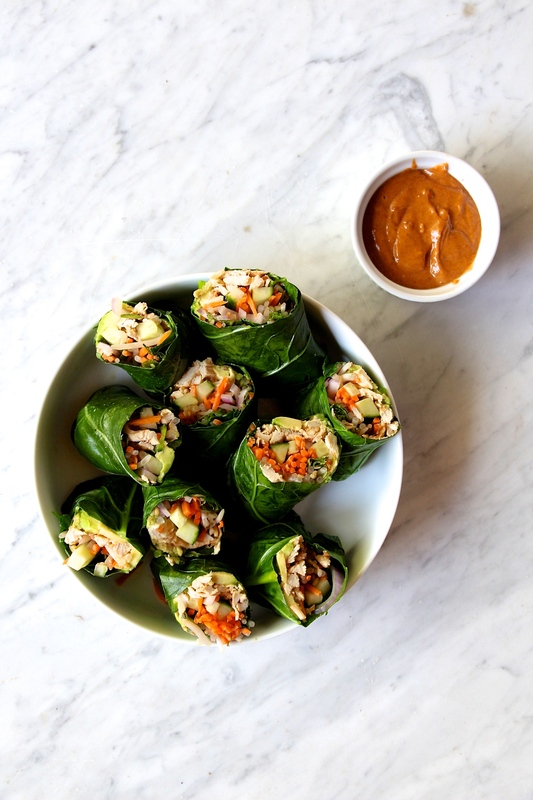 I hope you enjoy making these cute, little Whole30 spring rolls in your own kitchens as much as I did! 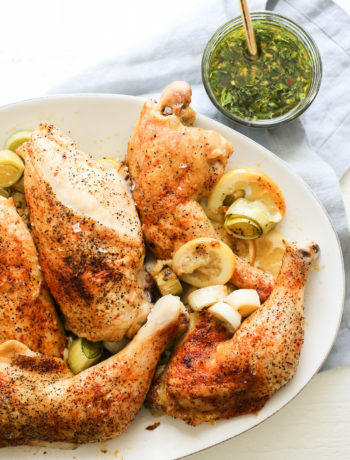 Bring a saucepan of water to a boil, drop in the chicken breasts and add in some salt to the water. Let poach in the water until just cooked through, about 15 minutes. Remove from saucepan and set aside until cooled. When cooled enough to handle, using your hands shred the chicken. Set aside. 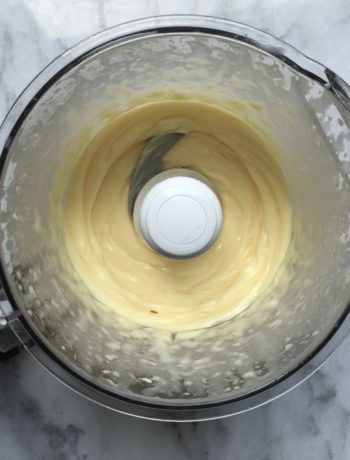 Place all of the "For the 'Peanut' Sauce" ingredients in a food processor or blender and blend until smooth. Set Aside. Toss the shredded chicken and 1 tbsp. of the peanut sauce together until chicken is coated. Reserve the remaining peanut sauce for dipping. 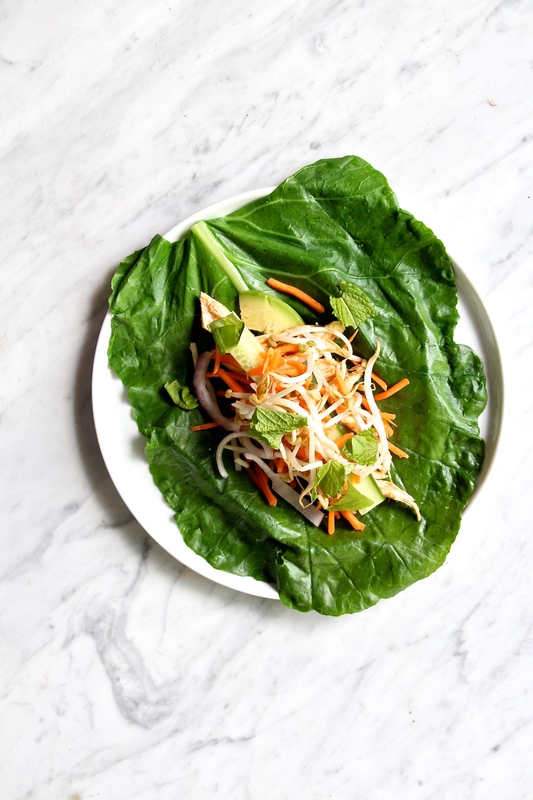 In the center of each collard green, place a few sliced jalapenos, avocado, bean sprouts, cucumber, carrots, shredded chicken, sliced onion, and some mint and basil. (do not overstuff or it will be hard to roll). 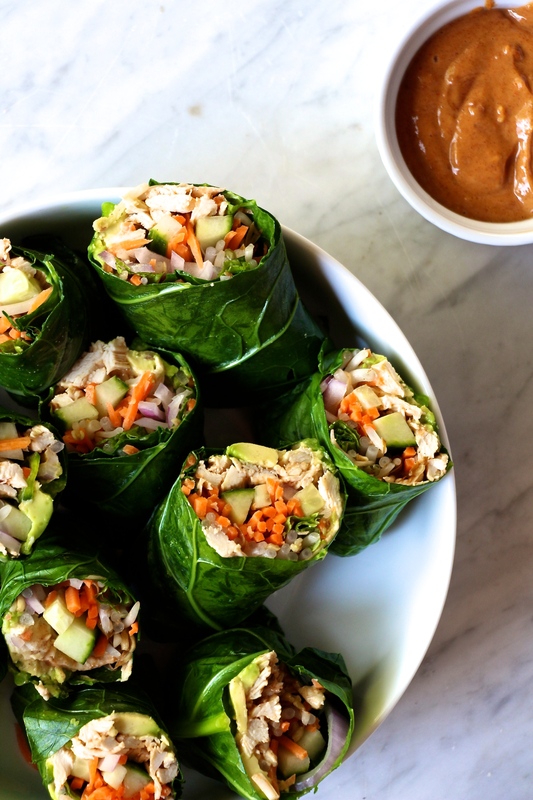 Now, gently roll your spring roll like a burrito. Continue until each spring roll is prepared. Serve with remaining 'peanut' sauce and enjoy! !